EDINBURG — After nine years at the helm of the UTRGV baseball program, Manny Mantrana is stepping down, moving into an administrative role as the Special Assistant to the Athletic Director. Mantrana and UTRGV athletics director Chris King said a multitude of factors played into the move, which was announced Wednesday. Mantrana’s contract was set to expire June 30, and UTRGV just wrapped up its eighth losing season in Mantrana’s nine years, falling one game short of qualifying for the WAC Tournament. King said he had long considered Mantrana a prime fit for a fundraising position, and Mantrana was looking to shift into a less demanding role to have more time to spend in Miami with his ailing mother. 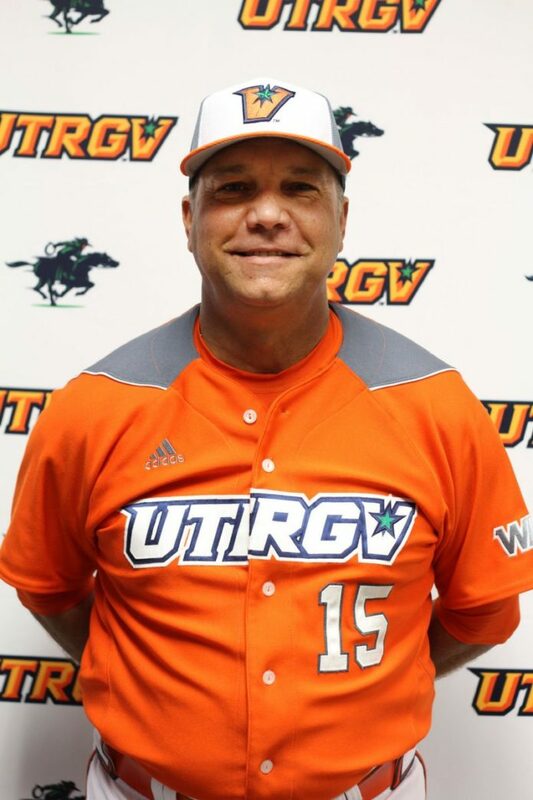 Mantrana compiled a 210-274 record during his nine years at UTPA and UTRGV, with his only winning season coming in 2012. UTRGV finished the 2017 campaign 26-28 overall and 7-17 in the WAC, missing the WAC Tournament for a third consecutive season. Mantrana’s latest contract, signed in July 2015, was set to expire at the end of June. Mantrana said he does not know if he would’ve been extended to continue coaching were it not for the move to the administrative position. King acknowledged that the 2017 season is “probably not what he wanted” but said the options regarding Mantrana’s coaching contract were not discussed. In his new role, Mantrana will be a “utility guy,” King said. King described Mantrana’s personality as “magnetic,” which is expected to make him an asset in fundraising, ticket sales and corporate sales. King said he offered Mantrana a fundraising position two and a half years ago. This time around, the Special Assistant to the Athletic Director position was created specifically for Mantrana. “This year, we talked a little more about it, and as we got toward closer to the end of the season, it just kind of made a lot of sense,” King said. Mantrana said the change allows him to spend more time with his mother, who has twice survived cancer but is again hospitalized by the disease and underwent major surgery about a year and a half ago, according to Mantrana. The hectic coaching schedule did not allow him much time to visit her in Miami during the spring, Mantrana said. He plans to travel home to see her within the next two weeks. “I want to make sure I spend as much time with her as I can during this last year,” Mantrana said. “It’s something I’ve been considering for a while, and having her back in the hospital with the cancer acting up again kind of pushed the fast forward button.” King said he hopes to have a new coach hired no later than mid-July.